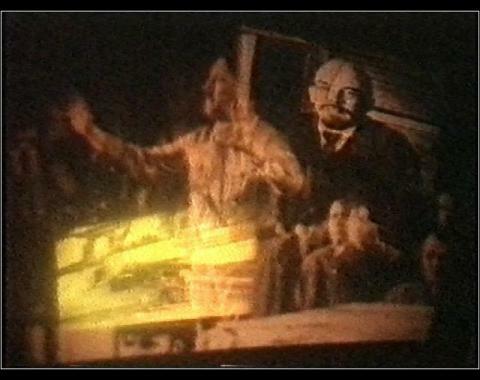 Super 8mm films screened on each other which were recorded by shooting the television broadcasts. 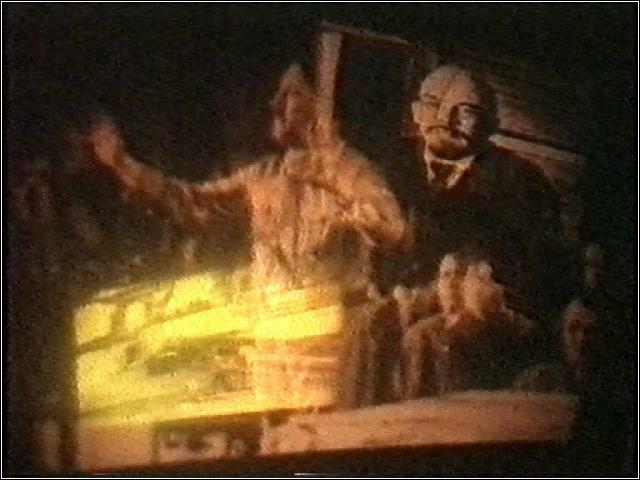 Reinterpretation of recordings about Stalin and Lenin and other amazing documentary and fiction films laced with the opposition politics before the regime changed and supported by radio sound montage (Free Europe and voice of Tirana, etc.) 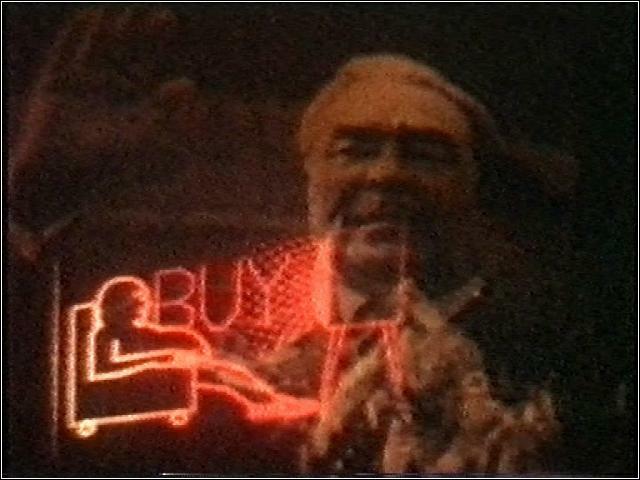 At that time amateur film makers were not afraid to describe social problems openly. These films could not be said to be popular at the amateur film days which were the only possibilities for introduction for the amateur artists. This film was made by copying experts from one VHS tape to the other. This was a temporary period for the amateur artists who had become independent film makers in the meantime. 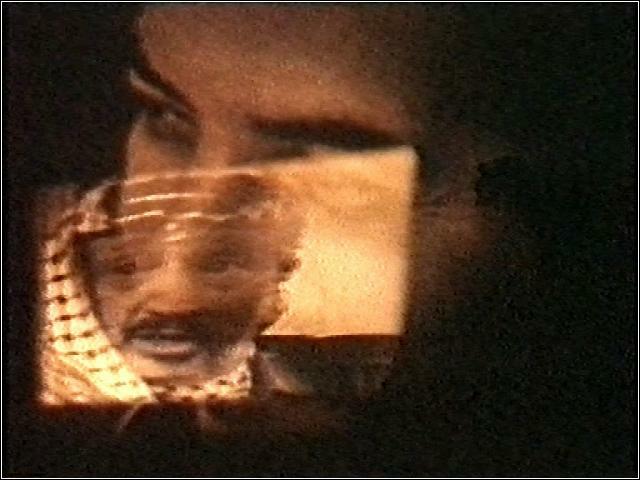 The Super 8 mm film technique was difficult to be provided by raw material and the popular video technique was a temptation because it was cheap and easy to process. 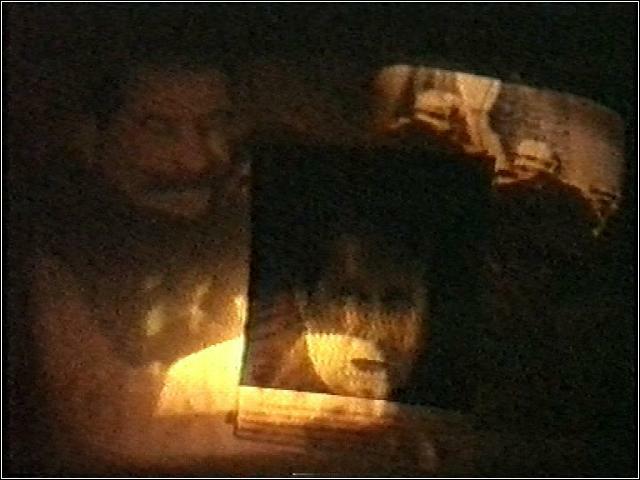 However only the very simple VHS technique was available for the independent film makers. That is why the films did not have such good technical quality and could not be edited properly. New and seductive possibility with serious technical deficiencies. That was the time when the Super 8 film technique started to deteriorate.